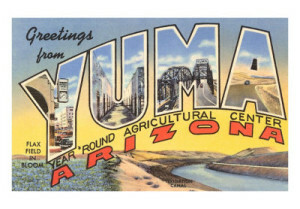 League-certified instructors from the Coalition will be traveling to Yuma to offer Traffic Skills 101 on June 1, 2013. Time and specific location will be announced later. Registration is now open, and the class is offered without charge — HURRY — class size is limited to 12 students. For more info contact Kathy Mills kmills@cazbike.org.